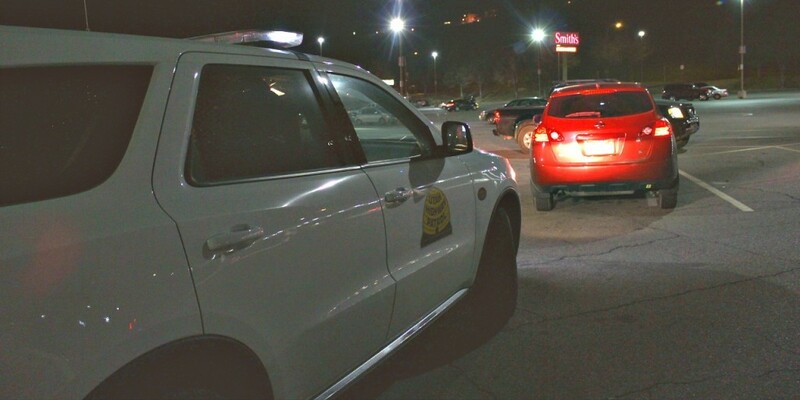 SOUTHERN UTAH — Utah Highway Patrol troopers on the DUI squad are gearing up for a big influx of traffic now that Spring Break is around the corner, which also increases the possibility that some drivers might be impaired. 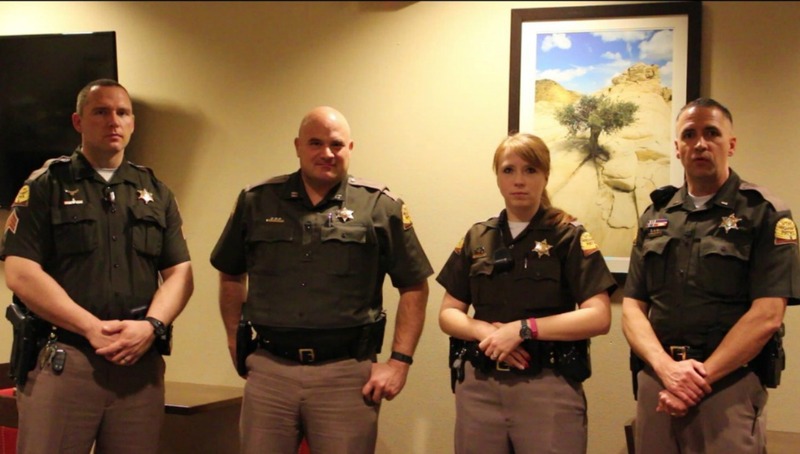 The DUI squad made its semi-annual trek to southern Utah recently with a specific objective in mind – to enhance DUI enforcement by saturating the area with troopers on the lookout for drunk or impaired drivers, Lt. Paul Kotter, UHP Bureau Commander said. The specially trained team arrived in Washington and Iron counties Feb 19 for the weekend and troopers hope drivers noticed. “We made just under 250 traffic stops on Friday and Saturday night and out of those traffic stops, we made 12 arrests,” Kotter said. The DUI squad is a specialized UHP unit consisting of 12 troopers who are not dispatched by a communications center, have no designated area of patrol, nor do they run records checks with every traffic stop. Instead, these troopers concentrate their efforts on observation and seeking out those who appear to be under the influence, or are otherwise driving impaired, he said. 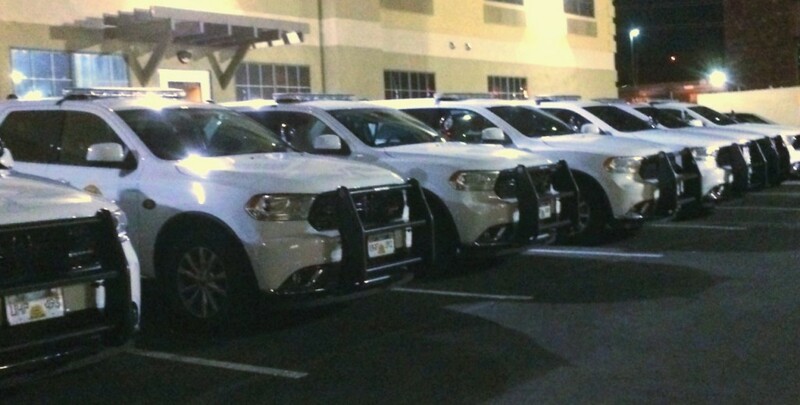 Troopers assigned to the DUI squad were selected from a pool of applicants. Everyone on the team is there because they want to be there, said Trooper Charity Thomas. Raising community awareness is another function of the DUI squad. The squad’s heavy presence is noticeable and the increased number of troopers in the area is not lost on the public. It can even make some drivers reconsider getting into their vehicle after too many drinks, Kotter said. Troopers also say there is a difference in the number of suspected drunk drivers between Friday and Saturday night. Typically the number of traffic stops on the second night is less because word gets around that there’s a heavy police presence and many don’t want to risk it, he said. “Troopers noticed an increased number of taxis out on the road and a higher number of vehicles left in parking lots of various drinking establishments,” he said. The DUI squad was created in 1994 but received a substantial boost in 2006 when additional state funding was earmarked toward DUI enforcement, largely in response to an increase in alcohol-related traffic accidents and fatalities, UHP Captain Steven Winward said. “Initially it was $130 (fine), every time someone was arrested and they impounded their vehicle,” Winward said, with a portion of that money going to fund the DUI squad. According to a study conducted by the Centers for Disease Control, the key to effectively prevent drunk driving is to coordinate concentrated efforts by involving coalitions or task forces. The CDC also reported a gradual reduction in alcohol-related traffic accidents and fatalities, however they still account for 31 percent of all traffic-related deaths. The report also showed that drunk drivers got behind the wheel over 100 million times last year alone. According to Utah law, a person may not operate or be in actual physical control of a vehicle if there is sufficient alcohol in their body that a chemical test shows the person has a blood or breath alcohol concentration of .08 grams or greater at the time of the test. Oh great, more cops on the road watching my every move just waiting for me to make a tiny infraction and become a criminal. Oh well, at least the local doughnut shops will be happy. Would you rather have more drunk drivers or cops on the road? Okay, that’s funny Billy Madison! Hopefully, they will concentrate on aggressive driving and other illegal driving infractions such as passing in “no passing” zones and excessive speed instead of just the high revenue DWI infraction. Billy Madison, what donut shops are you talking about in St. George? They also need a texting squad. In the last week, I almost got swerved into by a young man clearly and openly texting in the lane next to me, a woman texting behind me almost didn’t stop at the red light I was stopped at. I have been known to get license plate numbers and call the SGPD and have actually signed complaints to have texting drivers cited. The officers actually thank me for doing this. I will continue to do this with texting drivers.